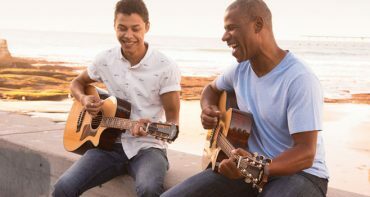 The holidays are a popular time to introduce a loved one or friend to a new guitar—there’s nothing more magical for a music lover than receiving a new instrument that will encourage and support their creativity. There are plenty of options out there for acoustic guitars, and it’s important to know what you’re getting before you buy. 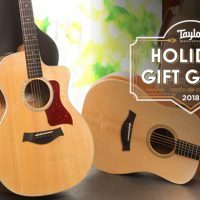 Taylor is unique among guitar makers—we believe in innovation and pushing the boundaries of the instrument, rather than relying on tradition. We also believe that the way an acoustic guitar feels is just as important as how it sounds. We’re all about making guitars that sound better not just because they’re made from beautiful, responsibly sourced materials, but also because they’re easy to play, allowing the musician to explore new creative routes and take their abilities to new levels. 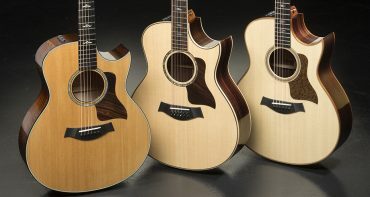 Taylor as a brand has a great reputation for making quality instruments across a wide range of price points, thanks to our player-friendly designs and modern production methods. 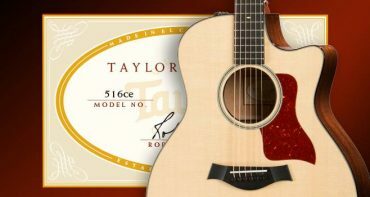 Here are five things you can expect from any Taylor guitar. 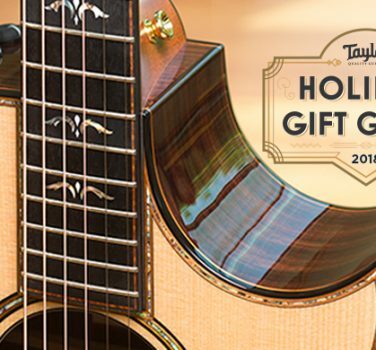 Visit the Taylor Guitar Holiday Gift Guide for more information to make your holiday shopping easier. 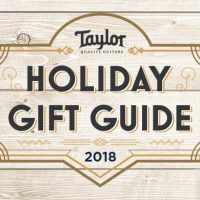 A tour of the Taylor factory in El Cajon, California (weekdays at 1 p.m. if you find yourself in the San Diego area) reveals our proprietary blend of precision engineering and hands-on craftsmanship. We’ve pioneered the use of laser mills, robotic finish application, and other high-tech processes, which help ensure consistent build quality on all of our acoustic guitars, but we also believe in the value of the human touch. 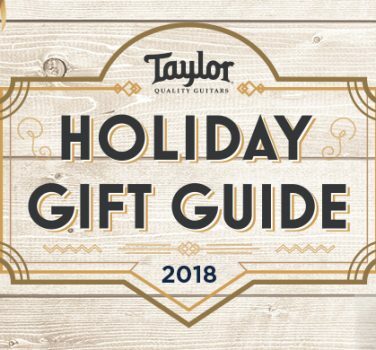 Every Taylor guitar ships to a store after being carefully built and inspected by our skilled craftspeople, with the highest levels of quality assurance. 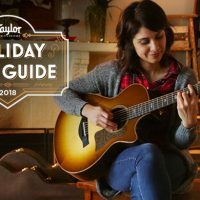 One thing you’ll notice about every Taylor acoustic guitar you find in a store, no matter what series or price point, is that it has a solid wood top. A guitar with a solid top will produce better sound—typically more dynamic range and a more expressive tone—than one made with a laminate top. Plus, the sound of a solid top actually improves as the guitar ages and is played in, creating a richer, more resonant tone over time. 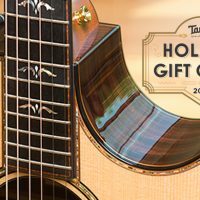 If there’s one term that you’ll hear used to describe Taylor guitar’s more than any other, it’s “playable.” From the beginning, we’ve sought to build guitars with easy-playing necks, which help musicians play their best. 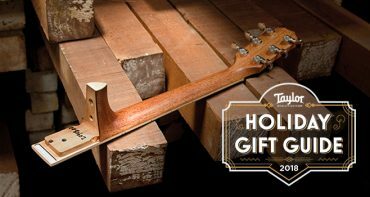 It starts with our sleek, hand-friendly neck profile and continues with our patented Taylor Guitar Neck, which is featured on most of our guitars (with the exception of Baby and Big Baby models). One of our major innovations as a guitar company, the design allows us to consistently set the ideal neck angle for playability. The design also lends itself to easy micro-adjustments in the neck angle over time (think of it as a minor tune-up as a guitar settles into its environment), which will preserve that playability for decades to come. We design our guitars with the player’s comfort in mind. Our guitars come in a variety of body shapes, which create both a wealth of tonal options and flexibility for players off all sizes and abilities. 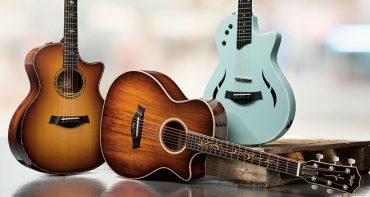 The Grand Auditorium shape, an original Taylor design and our most popular body style, features a narrowed waist and ergonomic footprint that makes it easy to hold and play, while the Grand Concert brings a smaller, more compact option to the table for players looking for something with a manageable body and articulate sound. On some of our guitars, you’ll even find appointments like armrests and beveled edges to make the playing experience truly seamless. And these aren’t just featured on our high-end guitars, such as the 814ce DLX or Builder’s Edition 614ce—you’ll also find them in the Academy Series, our range of guitars designed for first-time players. 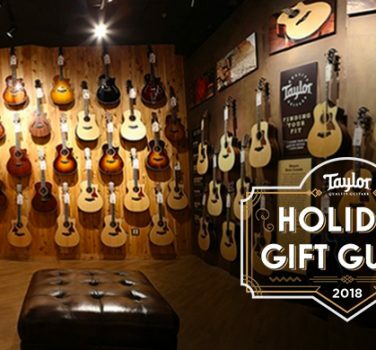 Taylor is a full-service company, which means not only do we produce high-quality instruments, we also support them with a dedicated customer service department staffed with experienced guitar experts. 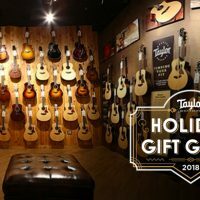 Our service department is renowned for being responsive, quick, and most of all, effective in helping you with your needs, whether you need help finding the right guitar or taking care of your existing Taylor. Our guitars carry a lifetime warranty against defects in construction, materials, and workmanship, and our service department offers a range of additional service packages to revitalize your guitar beyond the warranty coverage at a reasonable price within a quick timeframe. We’re one of the only manufacturers that provides a carrying case with every guitar we sell and includes it in the price of the guitar. 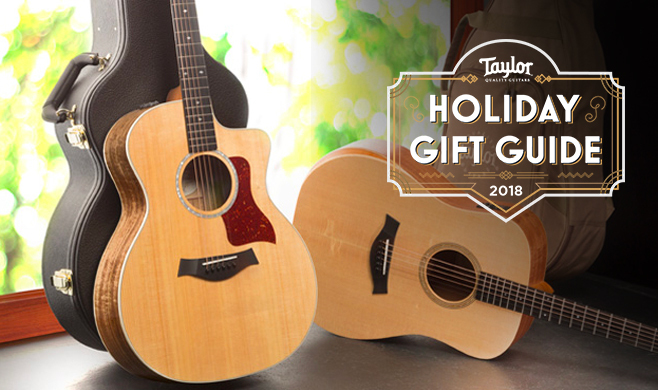 All guitars made at the El Cajon factory (300 Series and up), plus the 200 DLX Series (made in our Tecate, Mexico factory) ship with a Taylor hardshell guitar case. We make our hardshell cases in-house, using proprietary molds that are custom-fabricated to securely fit each guitar shape we make, for maximum protection. Our other guitars ship with either a soft guitar gig bag or a hard bag (GS Mini, 200 Series), both of which provide excellent protection and carrying convenience for your guitar. Many of these are also produced in-house. All of our cases provide some measure of protection against changes in climate and humidity. As we’ve grown as a company, we’ve assumed a leadership role in the pursuit of sustainable forestry initiatives to preserve the tonewoods we use in our acoustic guitars. We recognize our responsibility to help preserve the supply of natural resources for future generations. The world’s forests have given us so much, and our goal is to leave behind much more than we take, which is why we’re investing in innovative replanting programs with species like ebony in Cameroon and koa in Hawaii. When you purchase a Taylor guitar, you can feel good about supporting the highest levels of ethical, eco-conscious business.